This Creamy Bacon Tomato Dressing is one of the best homemade salad dressings I’ve ever made and it’s all thanks to the inspiration that came from Lauren over at Healthy Delicious. While I did take liberties with Lauren’s original recipe, and adapted it as I went along, the “bones” are the same, and the taste is outstanding! Since I’ve always wanted to serve a grilled salad, I decided that the taste of this dressing would work wonderfully well over some grilled romaine. This salad makes a pretty presentation and one that would work well for when you want to impress. Just don’t forget to add the additional crumbled bacon on top and maybe a sprinkle of croutons too (not pictured because I just now thought of it, drats) and you have all the flavors of a BLT… and who doesn’t like that? -In the same large skillet that you cooked the bacon in, saute the shallots, garlic and tomatoes over medium heat until the tomatoes split their skins. -Stir in the red wine vinegar and water and make sure to scrape up the browned but from the bottom of the skillet. -Spoon the tomato mixture into a blender or food processor, add most of the bacon (making sure to reserve some for garnish), the smoked paprika, cumin, brown sugar, olive oil, salt and pepper. -Blend until smooth and creamy *Note – add additional water or olive oil if you’d like the dressing a little thinner. -Place the romaine lettuce in a heated grill pan (or outdoor grill) cut side down, over medium/high heat and cook until grill marks form. *Note – This will only take a few moments so don’t walk away. 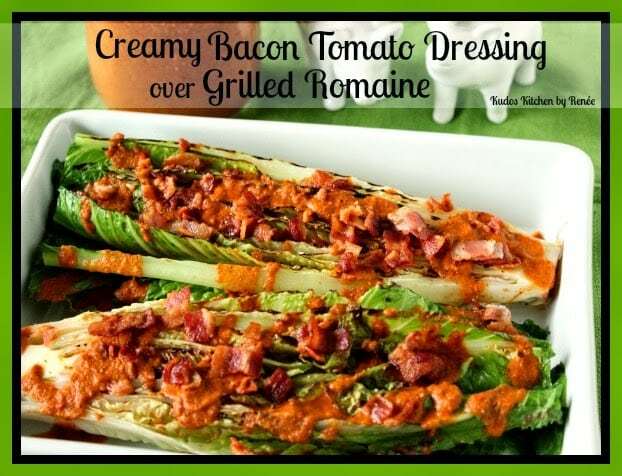 -Spoon the dressing over the grilled romaine and garnish with additional crumbled bacon and croutons if desired. This looks fantastic! I can't wait to make it! Ooooh. I'm a sucker for a great salad and this one looks wonderful! Yum! 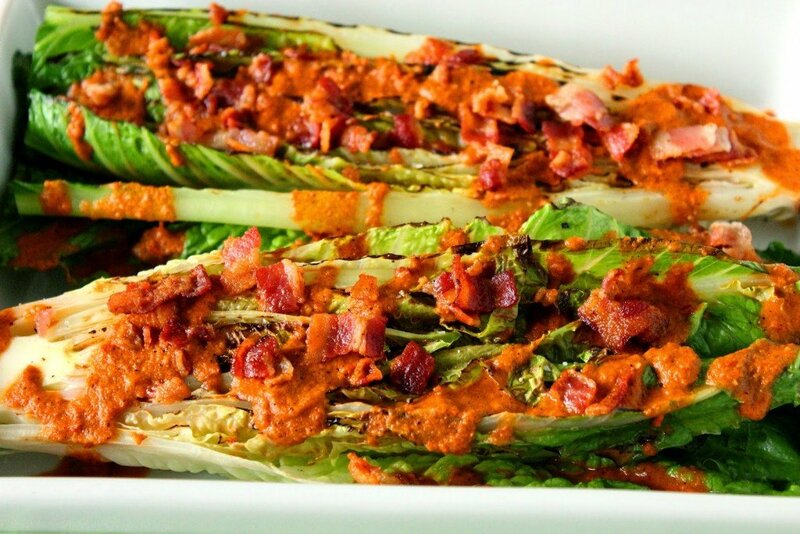 This grilled romaine recipe sounds delicious! 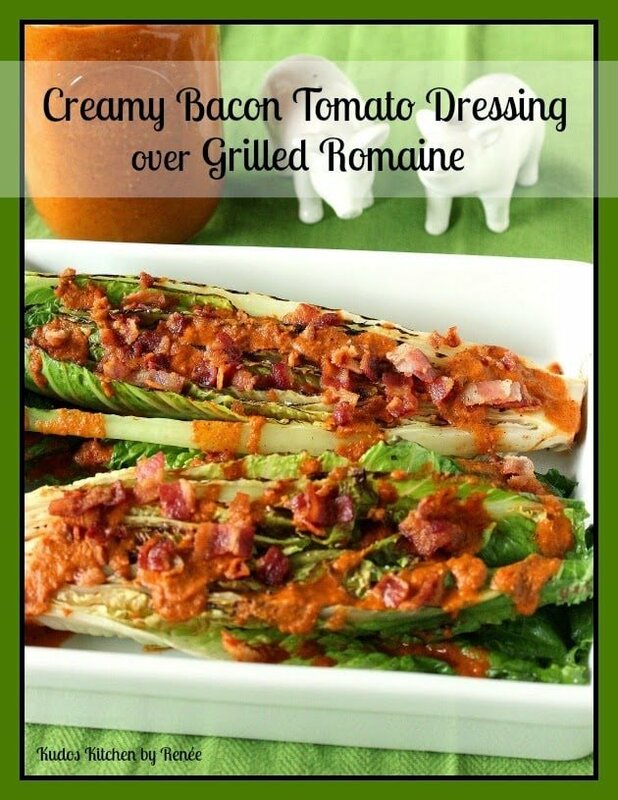 I've always wanted to try grilling romaine, now I must, looks awesome! I'm so glad I inspired you! I'm completely obsessed with this dressing – it's so awesome, right?! First of all, I adore grilled romaine! And that dressing, woah. Yum! Second, those glasses! So adorable! I could never make this dressing and salad. I'd never get past all that yummy bacon, I'd eat it right up! I cannot get enough of summer salads! Grilled romaine? What a great idea! I'm so intrigued by the grilled romaine! Besides, I can never turn down a BLT in any form. 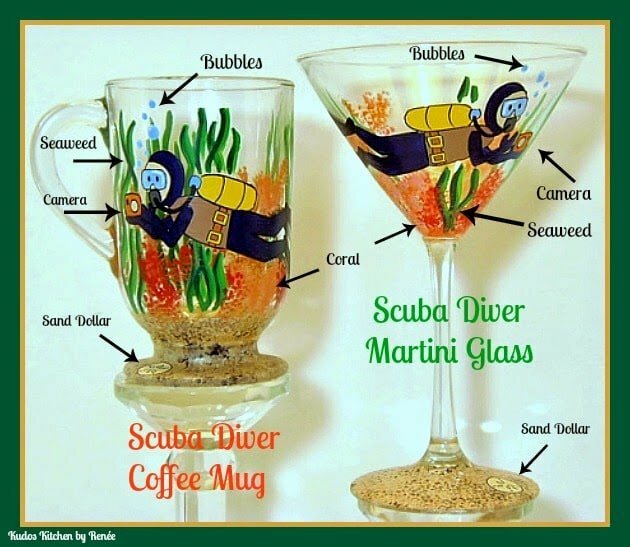 This is going on the To Do list!